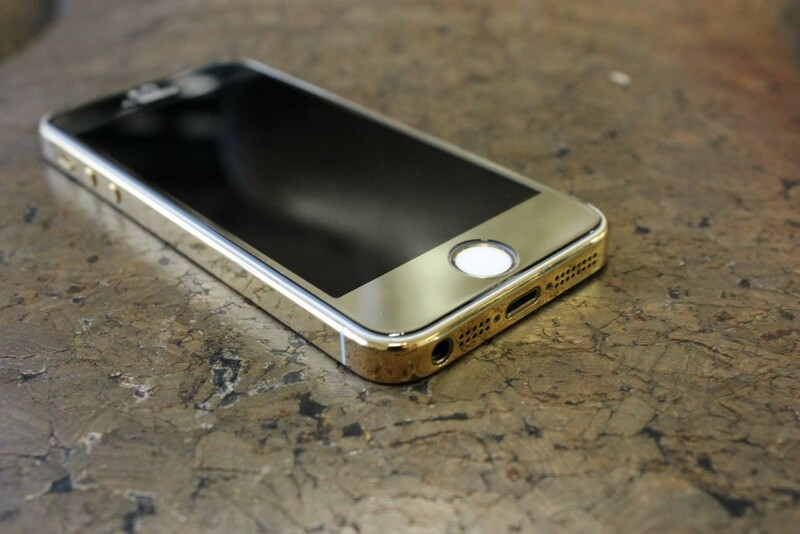 Numbered limited edition 24k gold plated iPhone 5s. Check out how clear the reflection is on the side panel. High polished finish always catching attention. 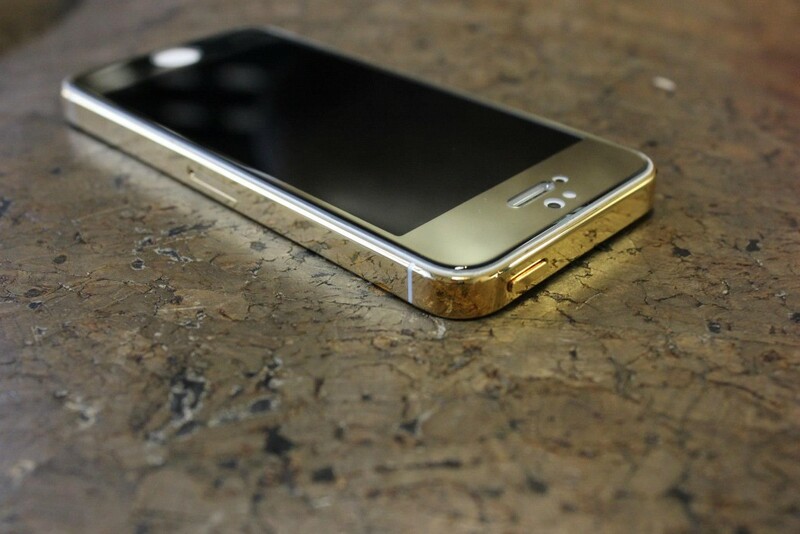 This photo sets the best highlighting of the polished, cold gold, finish of this Limited Edition numbered series 24k iPhone5s. Another beautiful device snapped up with our camera on the way out the door. The best part is the 12 month warranty attached to the stunning device!